David Fox has lived in China for more than 8 years. David’s activities in China include providing HR, Talent and OD solutions to the Top 100 companies in China. In 2013, he returned to China after serving as Head of Human Resources with Thomson Reuters Corporate Technology Group in the US and Switzerland. Thomson Reuters is a Fortune 500 company with $13 billion in revenue, and more than 60,000 employees in more than 100 countries. David is Group Manager of LinkedIn’s largest and fastest growing HR professional community in China – China HR Network – with more than 55,000 Members. He served as volunteer Vice-Chair of the Education & Training Industry Committee of the American Chamber of Commerce Shanghai. As an author, David has published numerous articles in China’s largest circulation professional magazines for the HR community – Human Capital Management Magazine, World Management Review, and Network HR. As an instructor, David has been featured several times with the Duke University Fuqua School of Business MBA programs Shanghai Residency, and has been a virtual lecturer to Johns Hopkins University Course “Strategy, Structure & Roles”. David teaches a course on Global HR with the Europe-China-Strategic-Alliance Summer Program at Shanghai University of Finance & Economics. 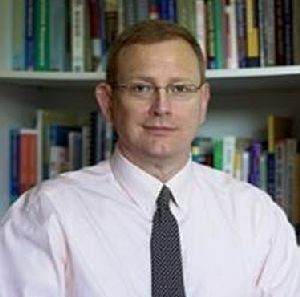 Prior to his career in China, David held roles such as Executive Director Global Talent Management and Director of International HR with a global IT services firm; Manager of International HR with a global hospitality and tourism company, and Manager of HR, Workforce Analysis and Central Employment with the world’s largest aerospace manufacturer.